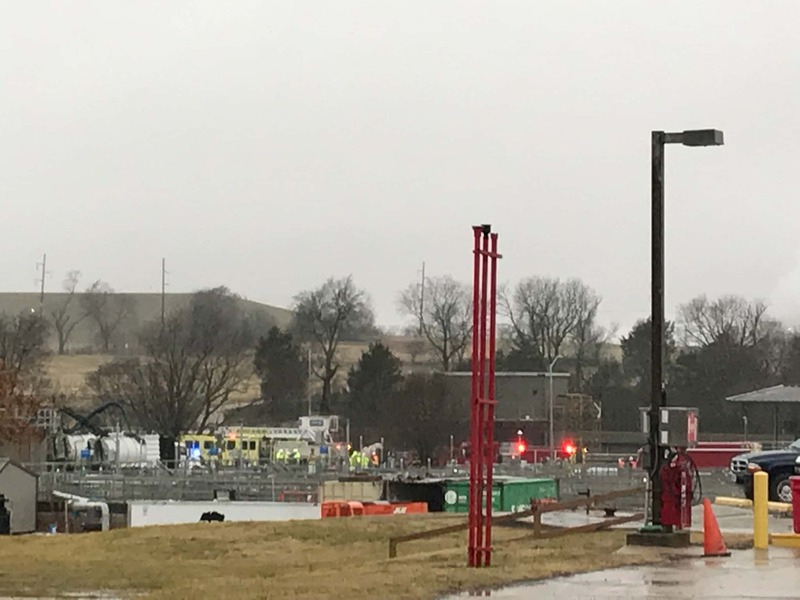 Two contractors were hurt during a small explosion at the Southwest Wastewater Treatment Plant in Springfield. The Springfield Fire Department says the contractors were trying to capture methane on the top of a large tank when the explosion happened. The workers were hurt when they tried to escape and jumped off the top of the tank, falling about 15 feet to the ground. Two of the contractors were taken to the hospital with non-life threatening injuries. A third worker declined treatment. Firefighters say the explosion did some damage to the top of the tank which will have to be repaired. The explosion and fire caused damage to, and partial collapse of a structure called a digester. The incident remains under investigation by a Springfield Fire Marshal. Digesters are used to stabilize the solids that are removed from the wastewater during treatment. There is no disruption in service because staff have been able to isolate this portion of the treatment process.